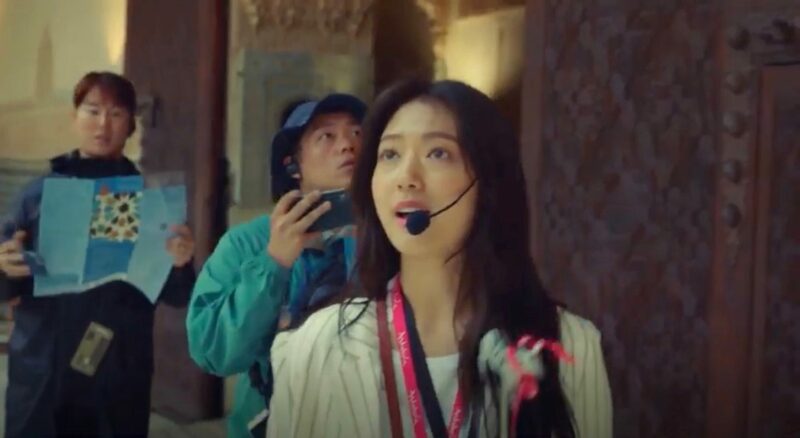 Jung Hee-joo (Park Shin-hye) rushes her tourist group through this part of the Alhambra in episode 3 of Memories of the Alhambra (알함브라 궁전의 추억) (tvN, 2018-19). 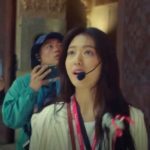 This is where the dungeons are located that Yoo Jin-woo (Hyun-Bin) is looking for when playing the AR game in episode 10 of Memories of the Alhambra (알함브라 궁전의 추억) (tvN, 2018-19). 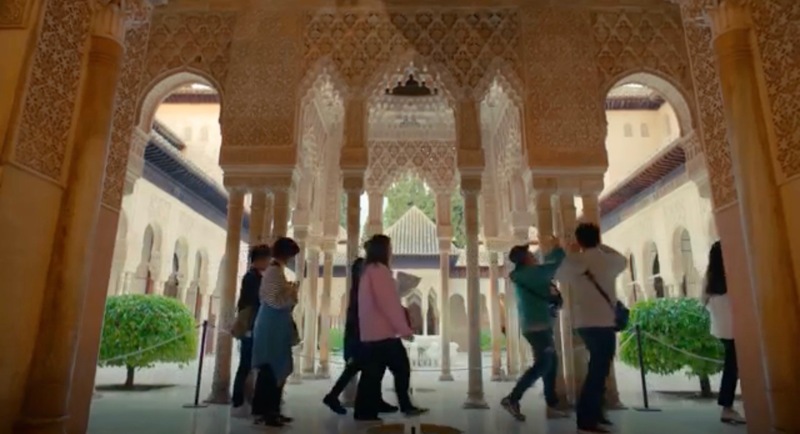 Yoo Jin-woo (Hyun-Bin) enters the Alhambra through this tower, Alhambra’s oldest gate, in episode 10 of Memories of the Alhambra (알함브라 궁전의 추억) (tvN, 2018-19). 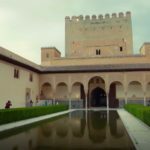 Alhambra is a palace fortress complex sitting on the Sabikah Hill in Granada, Spain. 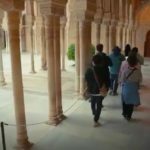 It counts as one of the major examples and monuments of Moorish architecture in Islamic architecture and is also one of the most visited European tourist attractions. 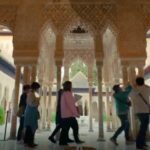 Dating back to AD 889, it was rebuilt by the first ruler of the Nasrid Kingdom of Granada in its current form in the 13th century and after some years of being in a desolate state and being neglected, it is a NESCO World Heritage Site since 1984. The Nasrid Palaces or Royal Complex [Palacios Nazaríes] is seen as the heart of Alhambra. 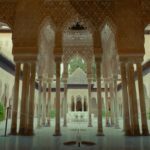 Part of this palace complex is the Court of the Lions [Patio de los Leones] with its marble fountain that sits on twelve lions. 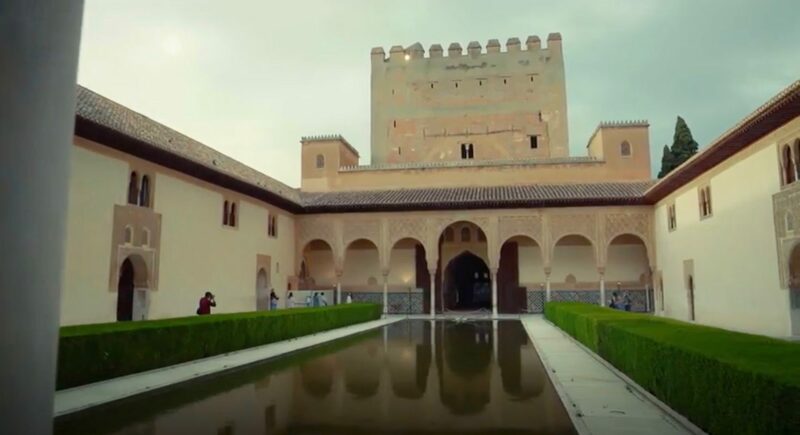 Another part of the complex that sits right next to it, is the Court of the Myrtles [Patio de los Arrayanes] surrounded by the chambers of the Comares Palace [Palacio de Comares]. 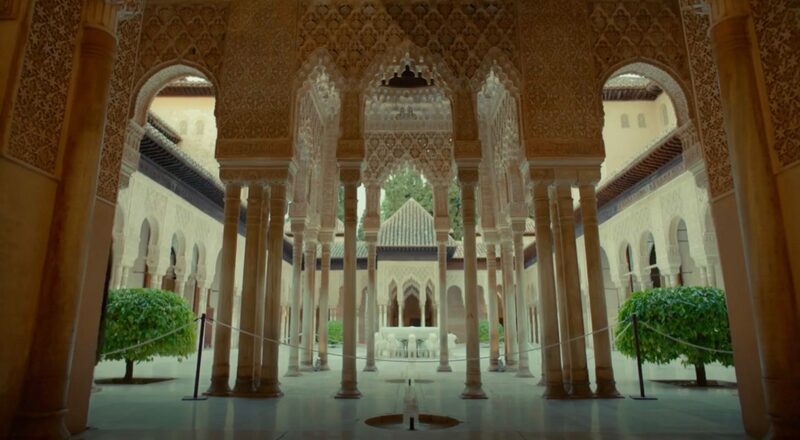 Both of these courts are seen in Memories of the Alhambra. 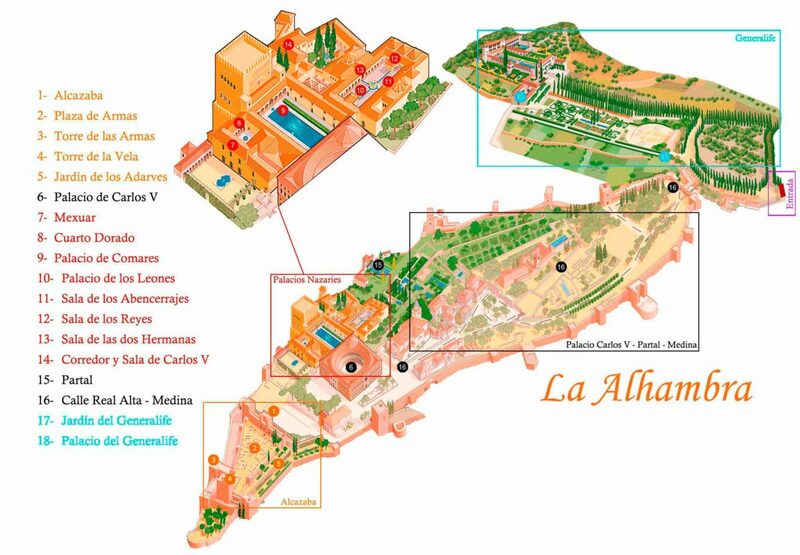 The Alcazaba, a fortress, on the other hand is one of the oldest part of the Alhambra and also seen in the drama. 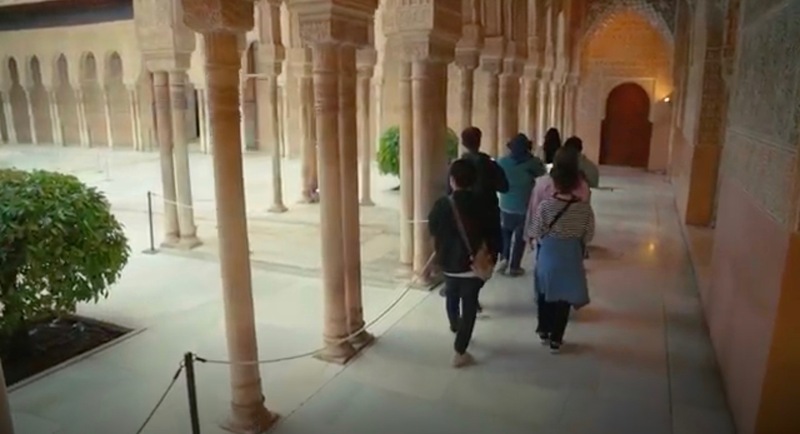 The dungeons of this part of Alhambra were opened at the beginning of 2018 to the public. 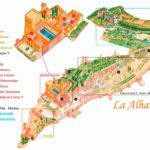 Alhambra is located in Granada’s neighborhood Realejo-San Matias.